Moe is by Caduceus Moses out of Hoveys Marietta. Bloodlines include HVK Santana a Beamington son, RedVermont, Serendipity Aries B, Stellar, pedigree can be seen on rmmhc.org. 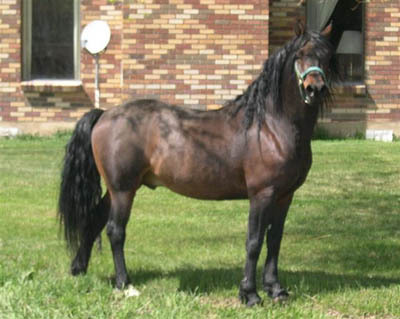 He has a beautiful trot and a smooth single-foot (which he prefers, when ridden), his disposition is superb, live cover only.